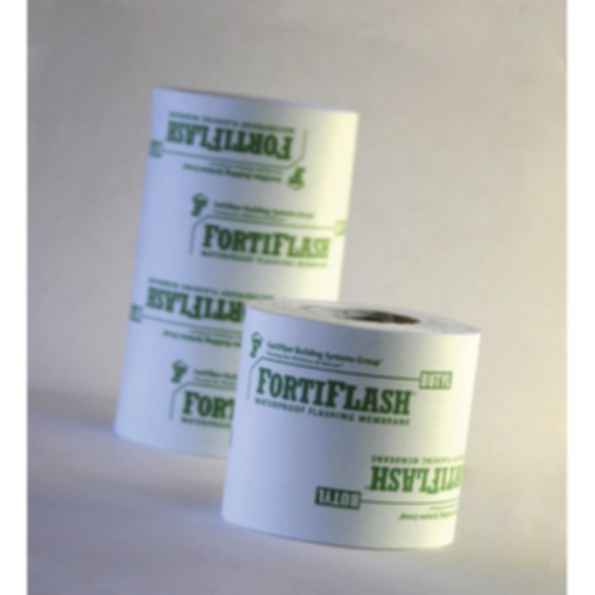 FortiFlash Butyl delivers in the most demanding environments, providing a strong self-sealing barrier to protect windows, doors and through-wall penetrations - as well as nonroofing conditions such as recessed windows, sill pans, pot shelves and parapets. The product's chemical compatibility with most standard sealants - as well as EPDM and flexible vinyl, makes it the ideal choice on the jobsite. FortiFlash Butyl's proprietary compound delivers rock solid adhesion at temperatures well below those where other self-adhesive flashing products just won't stick — while maintaining its protective properties at service temperatures up to 250° F. Reinforced by a heavy duty multi-layered polyethylene facer, the product can be easily worked around protrusions and into tight corners without delaminating or tearing. And the split release sheet makes integration with weather-resistive barriers a snap.